Kate Hardie is a local musician from Griffin, GA. She grew up in a musical family and began her musical journey at the age of 6 when her mother started giving her piano lessons. She quickly caught on and fell in love with playing the piano. 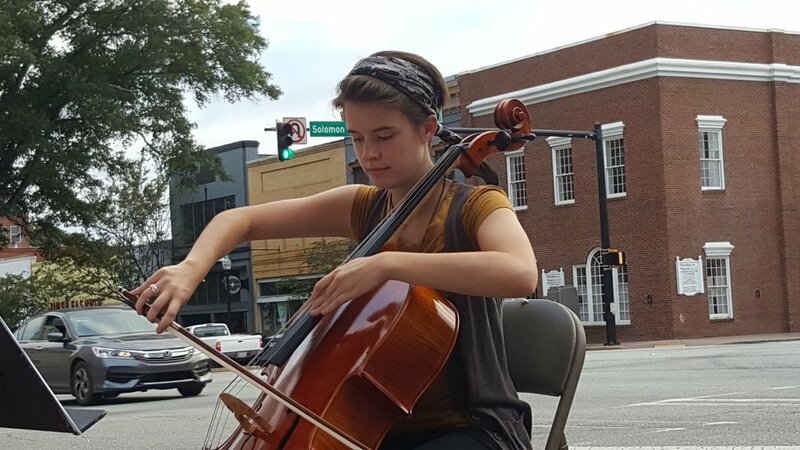 At age 13, Kate picked up the cello and began lessons shortly after. She performed cello in a youth orchestra until graduation and decided to focus on playing the piano professionally. She took extensive private lessons to prepare for that journey. During the process, she realized how important and motivating one on one music lessons are. After completing core curriculum at a local college, she enrolled at Schwob School of Music and studied under Tatiana Muzanova. Although she did not complete her degree, she discovered that learning to enjoy and appreciate the beauty and power of music was much more important than any competitive atmosphere or piece of paper. Since then, she has played at multiple weddings, fundraisers, and various events with other talented friends and teaches private piano and cello lessons. Kate's goal is to make music more accessible to her community and to spread its joy by teaching piano and cello lessons at Storyboard Studios.